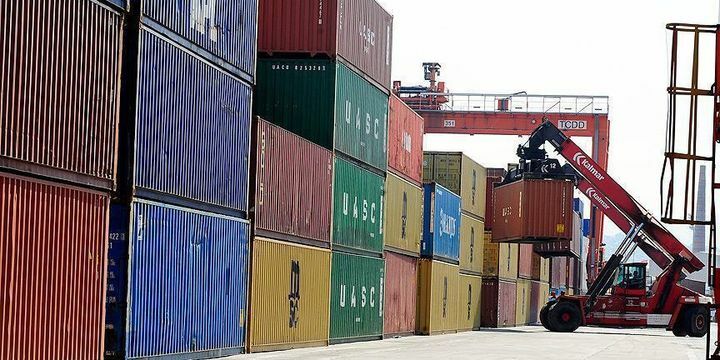 Turkey’s trade deficit contracted by 8.9 percent to $5.51 billion in June, BloombergHT reported citing preliminary data from the ministry of customs and trade. Exports fell 1.2 percent to $13 billion in June compared with a year earlier and imports dropped 3.6 percent to $18.5 billion, the ministry said, according to BloombergHT. Turkish demand for imports is starting to weaken after the lira slumped almost 20 percent against the dollar this year, forcing the central bank into emergency rate hikes. A weaker lira means imports of items such as cars, televisions and intermediary goods for manufacturing become more expensive. The ratio between exports and imports rose to 70.2 percent in June compared with 68.5 percent a year ago, according to the data. Turkey is due to publish official balance of trade data for June in the last week of July.